WGI moved up from #12 to #7 on the South Florida Business Journal’s Fast 50 List. 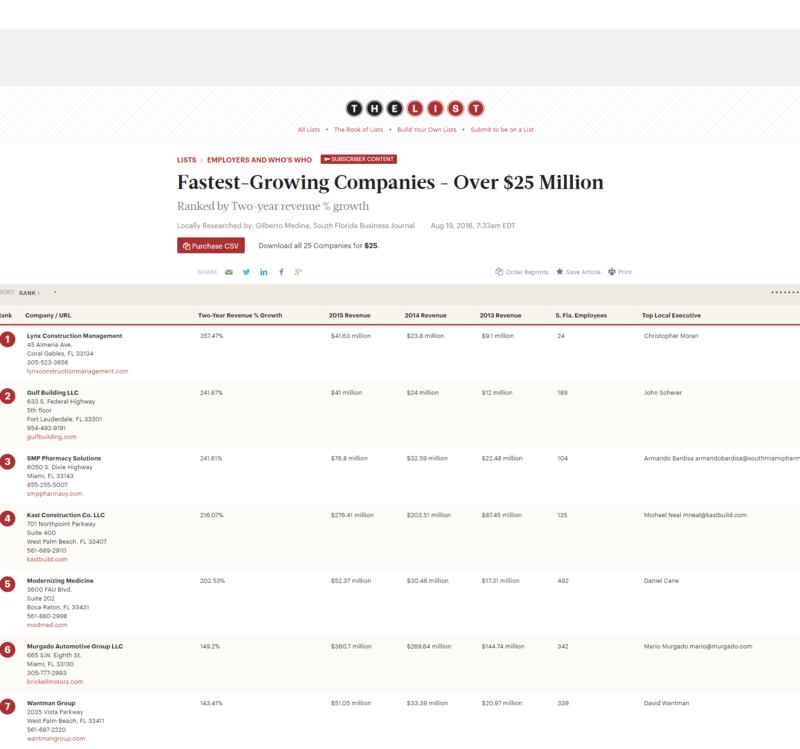 This year’s Fast 50 list highlighted companies with more than $25 million in annual revenue and companies with less than $25 million in annual revenue, a revamp of the process for calculating the data for its fastest-growing companies lists. The list featuring companies with revenue greater than $25 million includes 11 construction-related companies, of which the SFBJ considers WGI. This is another win in the year’s ever-growing list of accolades — and we’re rolling full steam ahead, continuing our growth trajectory!